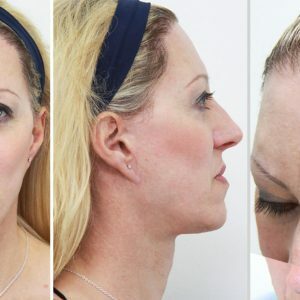 Facial Team has forged a reputation as one of the leading specialists in FFS worldwide. The correction of this problem is the first key step before subsequently evaluating her need for feminisation. 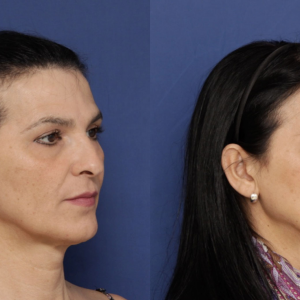 It is therefore shown that an adequate advance planning of the case lead the surgical team to first correct the facial harmony in order to be able to properly evaluate the need for feminisation several months later, with a guarantee of success in the final results obtained. A natural, harmonious and feminine result is obtained beginning with a personalised study of the individual face and the election of the techniques developed specifically for facial feminisation. Formerly, it has been accepted that facial feminisation consists in the employment of a series of standard procedures for all countenances, with the objective of obtaining a feminine result. Far from true in reality, because this approach does not take into account the static and dynamic characteristics of each unique face. It is therefore of paramount importance to apply new criteria in the evaluation of candidate FFS patients. Each and every face should be analysed according to the classical criteria of facial harmony (division of the face into upper third, middle third, and lower third), as well as taking into account transversality and projection. These criteria should be meticulously applied in the exploration of the possible feminisation alternatives that an individual face requires. The following case illustrates how a standardised approach is not appropriate. The example patient (Fig. 1) initially only requested FFS. If the typical procedures had been directly applied, it is possible that the results would not have met the patient´s expectations due to a poor evaluation and inadequate planning of the case. After a careful facial analysis, it is clearly ascertained that, in addition to marked masculine features, a significant alteration of facial harmony is also apparent. The existence of this maxillofacial anomaly, known as a dental-skeletal deformity Class III of Angle, heavily conditions not only the facial appearance (Fig. 2 excess of mandible surpasses the maxilla causing an agressive look) but also the dental occlusion (manner in which teeth fit together) shown in Figure 3. Therefore, as the first phase of treatment with a combined orthodontic-surgical approach, a correction of the dentofacial problem is achieved, obtaining a new positioning of the jaw complex with a consequent adjustment to the “bite”or closure and meeting of the teeth. In this way, a more symmetric and balanced facial appearance is generated, from both the frontal and profile perspectives (Fig. 4.) At this stage of treatment, the conditions are now appropriate for an adequate FFS evaluation and corresponding surgical planning. In this specific case, the patient was treated by means of a remodeling of the glabellar and frontal-orbital ridge, including an osteotomy of the anterior wall of the frontal sinus, the modification and furtherance of the hairline, subtle elevation of the eyebrows and a rhinoplasty (Fig. 5). 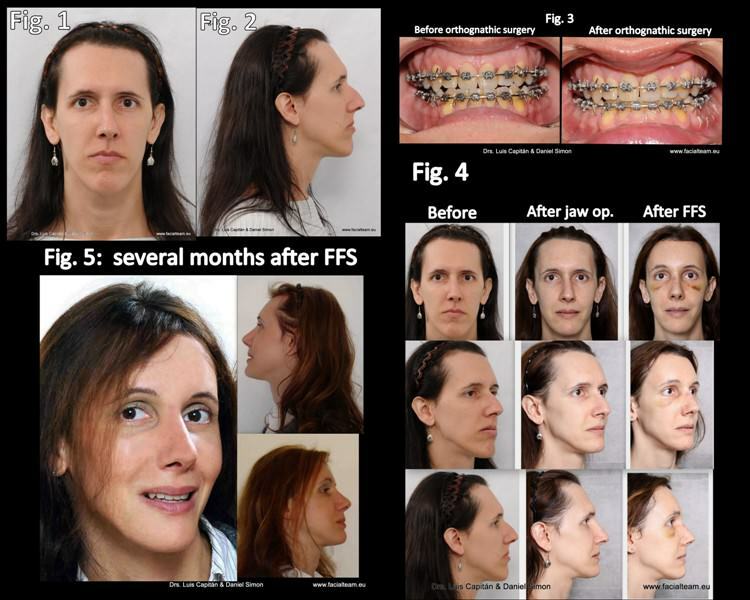 An exceptional example case has been employed here to sufficiently illustrate and reinforce the importance of a meticulous and personalised analysis of each individual prior to treatment planning, based on the specific requirements of the particular visage to feminise instead of pre-established standards. Dr. Luis M. Capitán and Dr. Daniel Simon are founders and co-directors of FACIAL TEAM, an internationally renowned team of professionals specialized in facial feminization surgery, based in Marbella, Spain and Sao Paulo, Brazil. What comes first? An Adam’s apple reduction or voice feminization surgery?